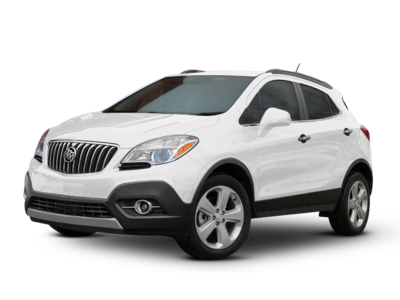 The 2016 Buick Encore ranks tenth for Best Under $15,000 Subcompact Cars. Current inventory meeting this criteria averages 12,744 miles. Fuel economy is rated at 30 MPG combined. Take a look below to find the Encore in your area that suits you best! Coming in at number 9 in our list of Best Under $15,000 Subcompact Cars is the 2014 Hyundai Accent. Current inventory meeting this criteria averages 42,169 miles. The 2014 Accent achieves a combined MPG figure of 31. Scroll down to see available inventory for 2014 Accents in your area. 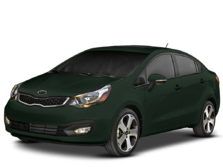 Ranking eigth for Best Under $15,000 Subcompact Cars is the 2015 Kia Rio. Current inventory meeting this criteria averages 33,334 miles. The 2015 Rio achieves a combined MPG figure of 31. Scroll down to see available inventory for 2015 Rios in your area. The 2015 FIAT 500 is number 7 in our list for Best Under $15,000 Subcompact Cars. Current inventory meeting this criteria averages 27,597 miles. The 2015 500 achieves a combined MPG figure of 31. Take a look below to find the 500 in your area that suits you best! Slotting in at sixth for Best Under $15,000 Subcompact Cars is the 2014 Toyota Yaris. 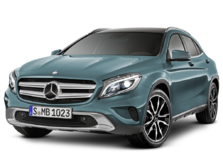 Current inventory meeting this criteria averages 47,867 miles. The 2014 Yaris achieves a combined MPG figure of 32. Scroll down to see what inventory is available in your area - hurry, before these great deals sell out! Coming in at number 5 in our list of Best Under $15,000 Subcompact Cars is the 2014 Ford Fiesta. Current inventory meeting this criteria averages 42,225 miles. Fuel economy is rated at 32 MPG combined. Scroll down to see what inventory is available in your area - hurry, before these great deals sell out! Ranking fourth for Best Under $15,000 Subcompact Cars is the 2014 Nissan Versa. Current inventory meeting this criteria averages 53,695 miles. Fuel economy is rated at 33 MPG combined. Take a look below to find the Versa in your area that suits you best! The 2015 Toyota Prius c ranks third for Best Under $15,000 Subcompact Cars. Current inventory meeting this criteria averages 30,292 miles. The 2015 Prius c achieves a combined MPG figure of 50. Scroll down to see what's available in your area right now. Coming in at number 2 in our list of Best Under $15,000 Subcompact Cars is the 2017 Mitsubishi Mirage. 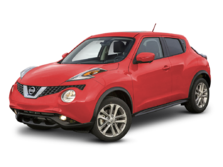 Current inventory meeting this criteria averages 20,049 miles. Fuel economy is rated at 38 MPG combined. Scroll down to see what's available in your area right now. Ranking first for Best Under $15,000 Subcompact Cars is the 2016 Chevrolet Spark. Current inventory meeting this criteria averages 15,714 miles. The 2016 Spark achieves a combined MPG figure of 35. Scroll down to see available inventory for 2016 Sparks in your area.